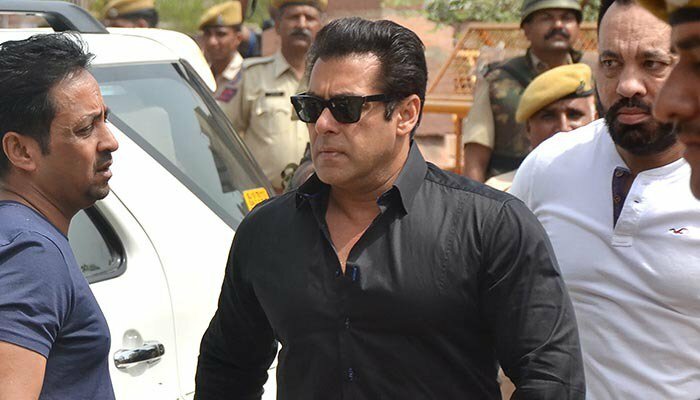 Jodhpur, April 7 (NDTV): Bollywood superstar Salman Khan, who spent the last two nights in Jodhpur Central Jail after being found guilty in a 20-year-old blackbuck poaching case, has been granted bail by a court in Rajasthan’s Jodhpur. Judge Ravindra Kumar Joshi, who began hearing his bail request this morning for the second day, announced his decision just after lunch. The 52-year-old actor is expected to walk out of the jail by 7.30-8 in the evening. Salman Khan was given a jail sentence of five years for killing two blackbucks 20 years ago in Kankani village, near Jodhpur in Rajasthan, during the shooting of a multi-starrer, “Hum Saath Saath Hain“. His co-actors Saif Ali Khan, Tabu, Neelam Kothari and Sonal Bendre, who were in the SUV that theDabanggstar was driving during their alleged late night hunting outing, were, however, acquitted by the Jodhpur sessions court. n the hearing today, the prosecution talked about the credibility of the witnesses and hinged the case on the post-mortem report which said that the blackbucks had gunshot wounds. However, Salman’s lawyers argued that only the bones of the animals were sent for evaluation when their skins, as crucial, weren’t. They asked for bail on grounds that the witnesses against him weren’t reliable. n the numerous hearings over the years, the actor and his counsels insisted that he was being framed. Reports that the animals died of “overeating” or that they were killed by dogs were also submitted in court to establish his innocence. n July 2016, the Rajasthan High Court acquitted Salman Khan in the chinkara poaching cases. A year later, the Jodhpur court acquitted him in the Arms Case, where he was accused of possessing and using weapons with an expired licence during the hunt for the endangered chinkaras and blackbucks.